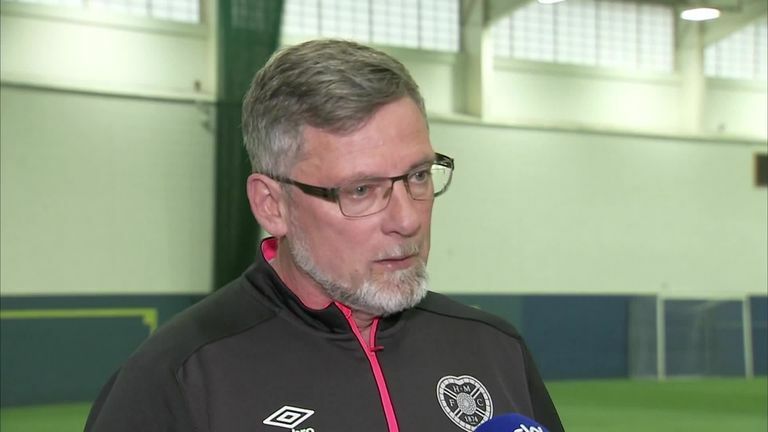 Craig Levein has called on Hearts to use their Scottish Cup semi-final win over Inverness as inspiration to beat Rangers at Tynecastle on Saturday. Hearts, who last won the trophy in 2012, booked their place in the Scottish Cup final against Celtic with a 3-0 win over Championship side Inverness at Hampden Park last weekend. Next up for Levein's men is a difficult test at home to Steven Gerrard's side, who have beaten Hearts in their last three Scottish Premiership meetings and sit second in the table. Speaking to Sky Sports News, the Hearts boss said: "Getting to the final can only be good for the squad, the boys did a professional job at the weekend. "It means the season lasts a week longer and we are all happy about that. "There are a lot of good things going on at the club right now, behind the scenes it's ticking over nicely. "Every now and then you have to have moments like the cup final to prove that things are progressing. "Our games against Rangers have been frustrating this season because we have shot ourselves in the foot in nearly all of them by giving away early goals. "My main thing will be that we need to not do anything silly and we are at Tynecastle which always makes me feel good. "I am confident because the players got a big boost from the game against Inverness. "We will try to take the game to Rangers and win. "We have had a bit of a frustrating season, we are in sixth place and I would like us to climb one or two places at least if possible and that requires a fair amount of focus and effort from myself and all the players. "We want to win every game from now until the cup final." Hearts striker Steven Naismith, who has been sidelined with a knee injury since February, is desperate to face Celtic in the showpiece final, but Levein is refusing to take a gamble on his long-term fitness. He added: "If there is anybody who will make it then it will be Steven, but we have to be careful as well in that we don't bring him back too early and damage his chances for next season. "We have to be very careful but he's desperate to play."